City Growth and Trade at the Ancient Maya Site of Alabama in Belize. The goal of this project is to initiate archaeological survey and excavation at the Alabama Site in the Stann Creek District of southern Belize. Little work has been done at the site, but it is an ideal place to investigate Ancient Maya urbanization and trade. Initial recon at the site last summer only made us more curious about the site's location, history, and importance! Maya Archaeology is an exciting field of research with many new sites and artifacts discovered each year. One area of interest for archaeologists is how the ancient Maya acquired raw materials, crafted utilitarian and ritual items from these, and then distributed or traded these items. The Maya had a sophisticated system of trade and exchange going back to the Preclassic Period (900 B.C.- A.D. 250). In concert with these trade activities, towns and cities sprung up in advantageous place on the landscape, parallel to increasing degrees of urban complexity. One little understood area of urbanization and trade lies from the Maya Mountains in Belize to the eastern coast of Belize, in the central Maya Lowlands. Our project aims to rectify this gap in our knowledge. This research is critical, not only to fill in our knowledge gap for this under-studied part of the Maya Lowlands, but also to help critically evaluate similar processes of urbanization and resource utilization going on in the contemporary world. One of our biggest contemporary challenges is understanding how resource acquisition, production, and consumption affects human systems, and the work we propose to do at the Alabama Site will allow us to model urbanization and trade from the perspective of this past community. We will be gathering chronological and construction history for the site center, and evaluating evidence for trade through a materials-based evaluation of artifact distribution found across households at the site, to better understand the nature of urbanization and trade. To present to the local communities (school children, teachers, tour guides, community members) on Archaeology and the work we will be doing. To complete a systematic GPS survey of the area surrounding the site epicenter. To conduct post-hole tests for cultural materials in a systematic fashion emanating out from the site epicenter to identify areas of high potential. To conduct regional reconnaissance for other archaeological sites, including quarries, nearby. To conduct lab analysis on the artifacts recovered. As two early-career researchers, we are trying to get our feet on the ground on this project, with the hopes that it will become a long-term, regional research study. Traditional funding for projects such as these is extremely limited, and although we have applied for grant support, this preliminary season of investigations will not happen without your support. Part of what we hope to do this year is include some promising young Belizean scholars in the research, and we will need to support them with transportation, room, and board. We think it is important to provide education and research opportunities to young people in the country in which we are working, because the cultural patrimony of Belize belongs to them, after all. The first $5000 project funding goal will go to transport essentials, and anything over that will go towards in-country support for project members, and equipment costs. Drs. 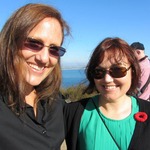 Sonja Schwake and Meaghan Peuramaki-Brown together have over 25 years of experience doing archaeology in Belize. We both got into Maya Archaeology through undergraduate fieldschool opportunities, in fact, Meaghan was Sonja's field school student in 1999. Sonja is an expert in the ritual and mortuary practices of the ancient Maya as well as strategies of political integration and incorporation, while Meaghan is an expert in settlement survey, households and urbanization. We have long wanted to combine our talents on a research project, and are so excited to be starting this research at the Alabama Site because it is literally an unknown frontier in the Maya world. In our free time, we both like to watch Star Trek, and take quizzes on the internet to find out which of the Star Trek captains we are. Schwake is pleased that she is Classic Kirk, while Peuramaki-Brown is surprised that she is most closely associated with Janeway! The banner photo shows Drs. Schwake and Peuramaki-Brown in front of a feature at the Alabama site where materials were mined for constructing buildings in the center of the site.